Auto Ship & Earn + 173 Points What's this? Maintaining a healthy digestive system may be difficult for some people. Factors like dietary choices, stress levels, and even frequent travel may all have negative effects on your digestive system, and if you're looking for a pathway toward healthy digestion, Progressive Laboratories may be able to help. 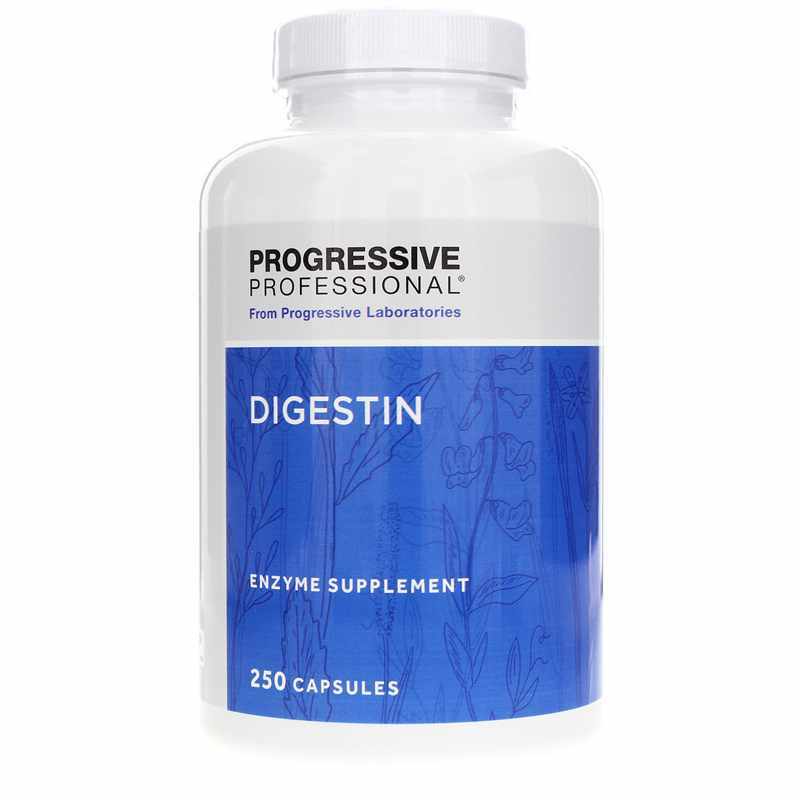 Digestin is a professional-grade enzyme supplement for daily use that provides a blend of enzymes that help support and maintain an optimal level of digestive health and function. 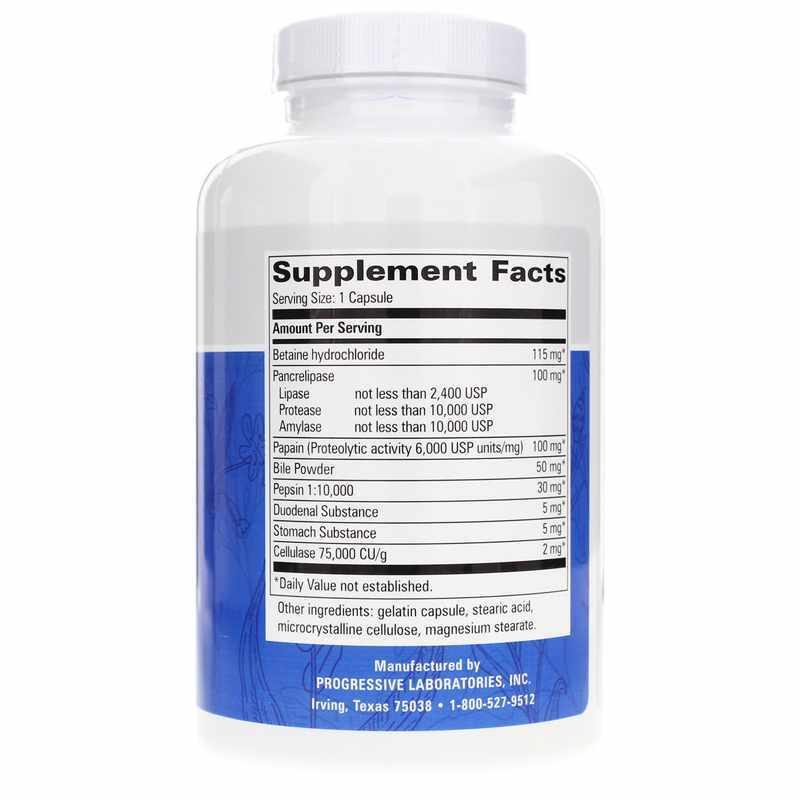 Your overall health is dependent on a healthy level of overall digestion. Keep your system on track with Digestin from Progressive Laboratories, and see the difference it may be able to make for you. Order now! Other Ingredients: gelatin, vegetable stearic acid, cellulose. 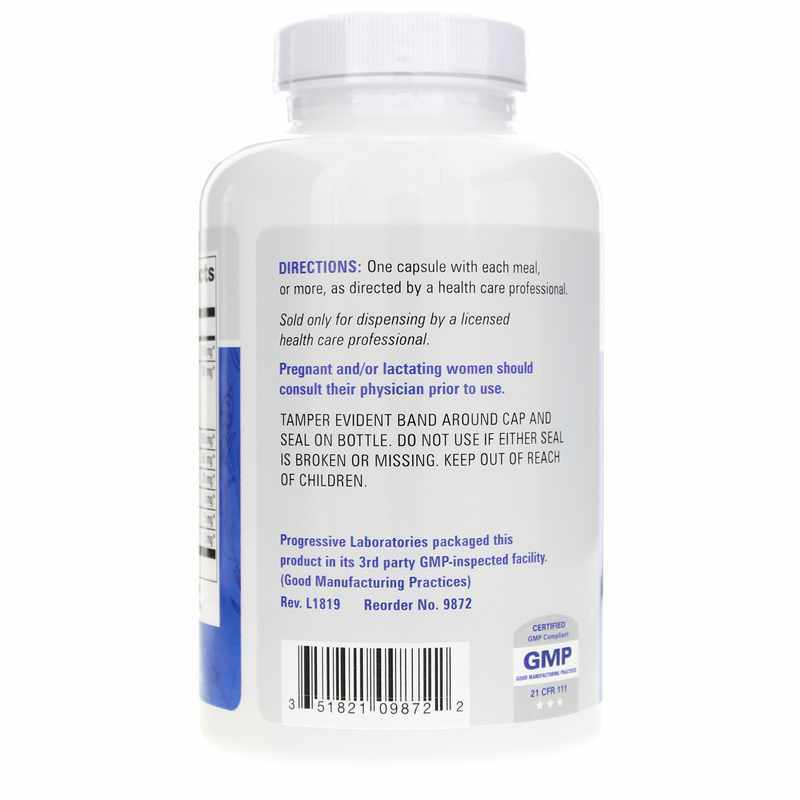 Adults: Take 1 capsule with each meal or as recommended by a healthcare professional.